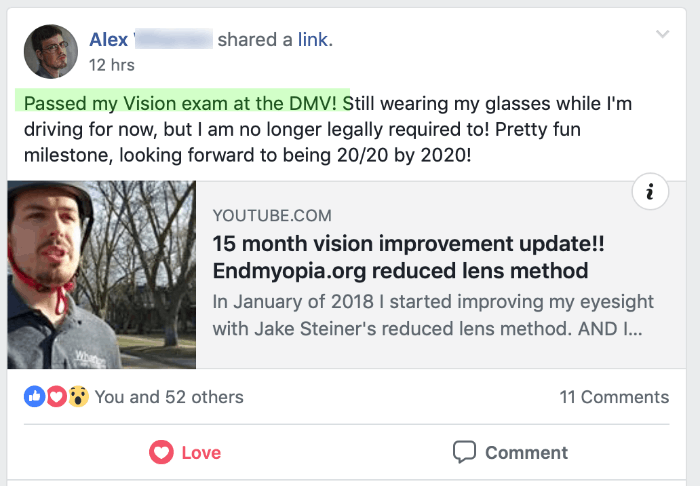 It Takes Time To Get Back To 20/20. And as most beardly sages will tell you, the path is the goal. Or something. 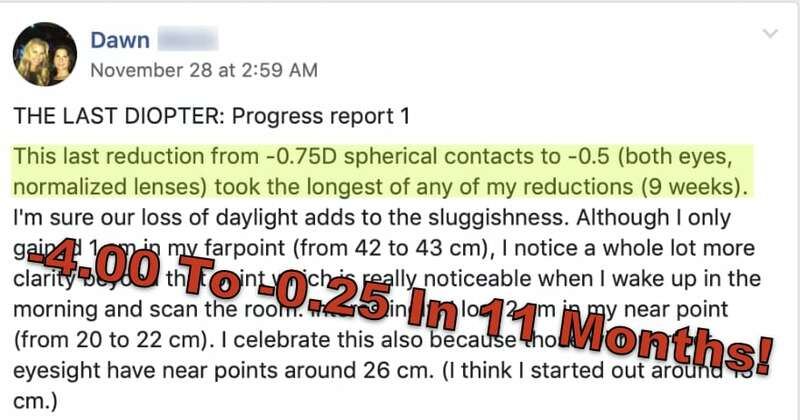 In this subject matter it’s every diopter that matters, they’re all milestones that will give you a better vision experience than the previous, higher diopters. 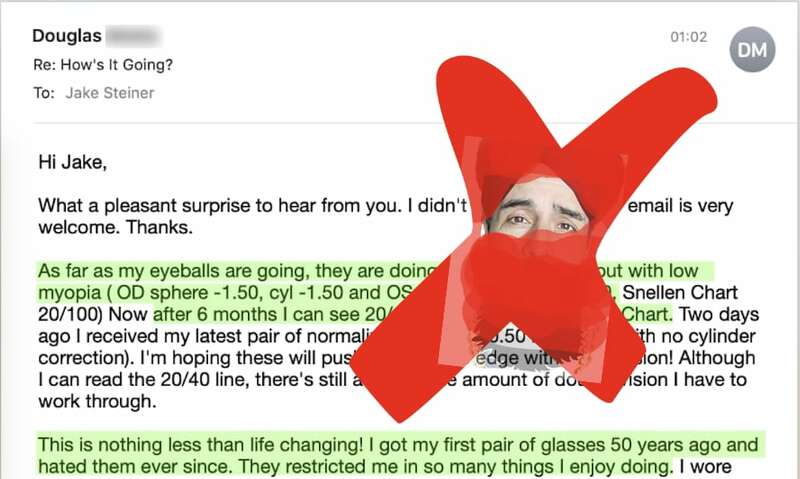 -10 diopter myopia is nothing like -5 diopter myopia. 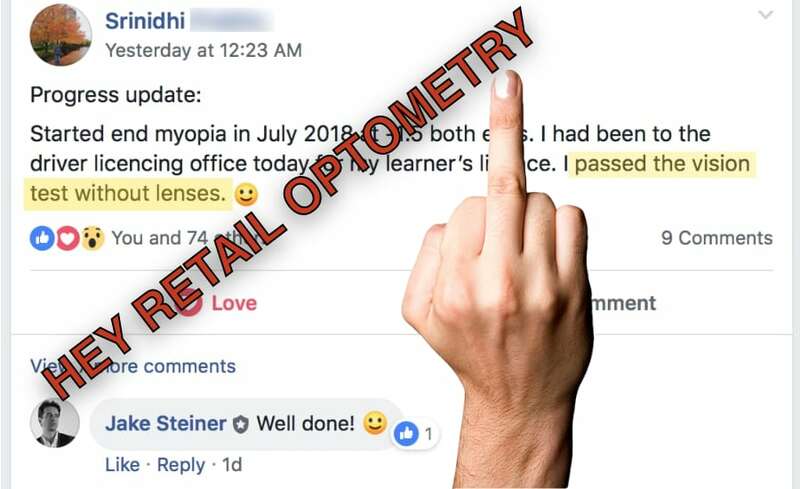 At -10 you can barely wear glasses, your field of vision is seriously compromised, everything is smaller and more distorted. -5 looks like super high definition magic 8K reality, compared to -10. And -4 is nothing like -2. At -2 you almost don’t need glasses for close-up, and you’re likely to get clear flashes even without glasses. 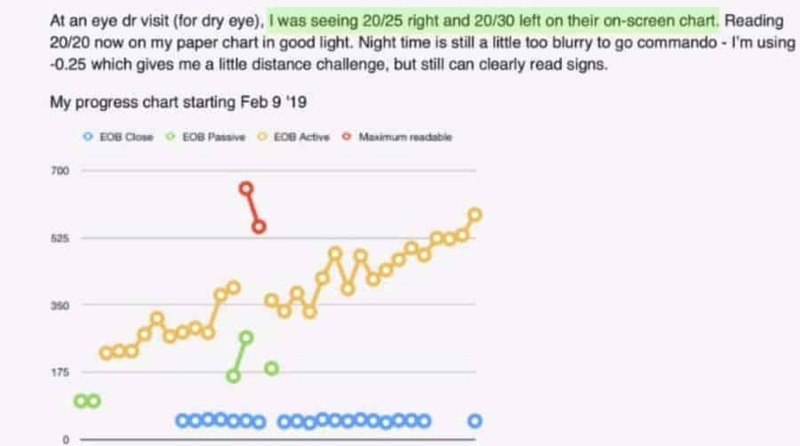 And once you get to the last diopter, you can be without glasses in good outdoor lighting, and likely experience increasing amounts of great eyesight. All that said, because newbies always ask this question (and who can blame them), here’s some updates from darling students who made it all the way to 20/20, or are just about there. Because yes of course, you can (and should) go all the way back to 20/20. So enjoy some of the 20/20 gains reports here below.